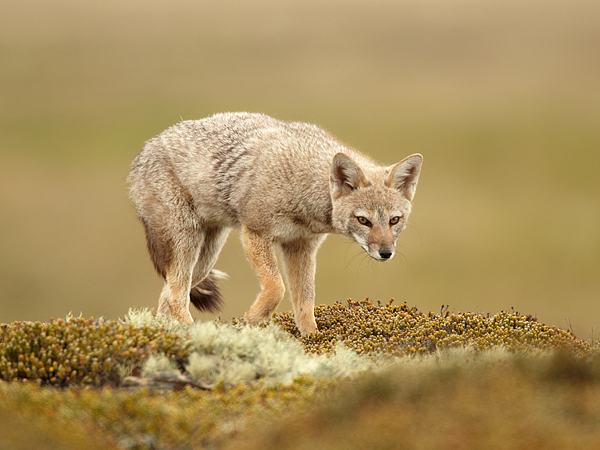 The Patagonian Grey Fox was introduced to some of the western Falkland Islands,in the 1930's in an attempt to farm them for their fur. 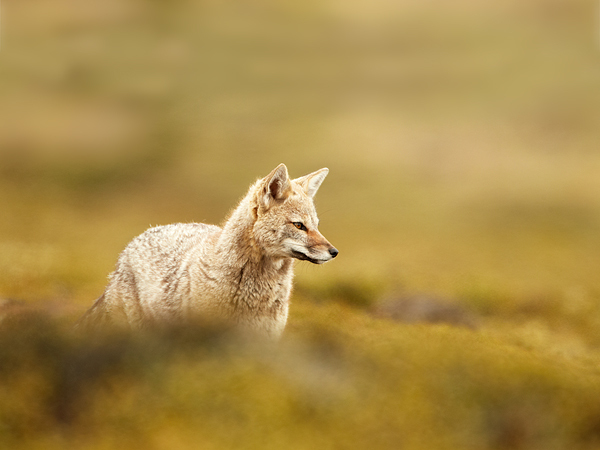 The farming project was unsuccessful but the foxes are now found on several islands. Over the years, they have reached a few other islands, but have since been removed because of the detrimental effect they had on the bird life. 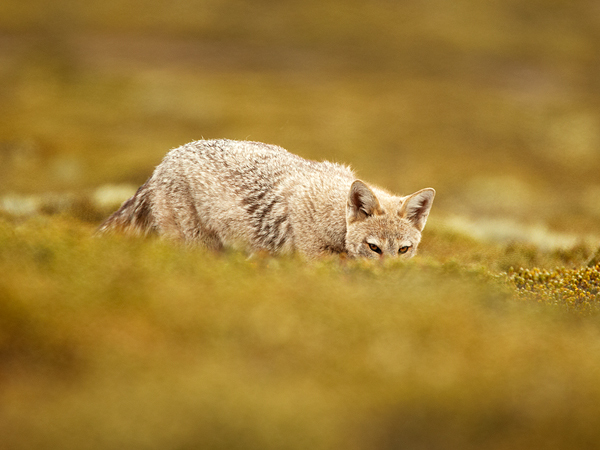 The native Falklands Islands Fox, has also been eradicated from many of the Falkland islands for the same reason. 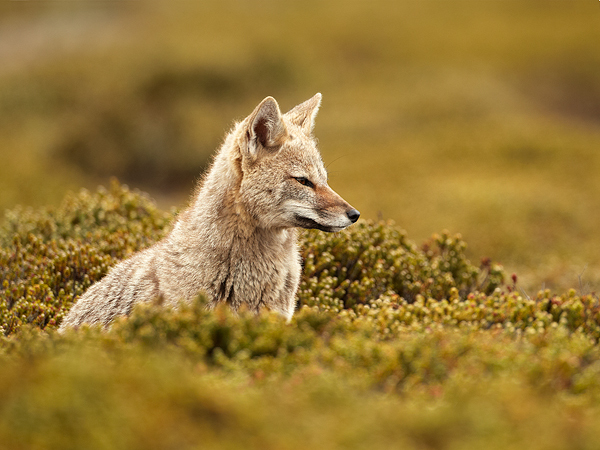 On the islands where it has been left alone, the Patagonian Grey Fox is thriving, generally they do not see many humans and those that are seen, are usually not a threat. 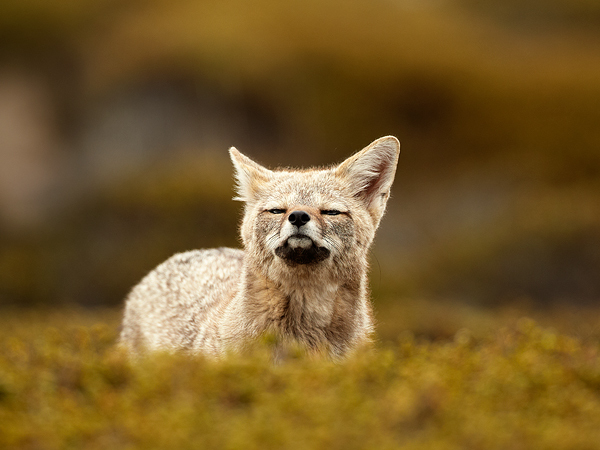 Therefore on some islands these foxes are doing well, they are far from shy, and they provide good photographic opportunities. 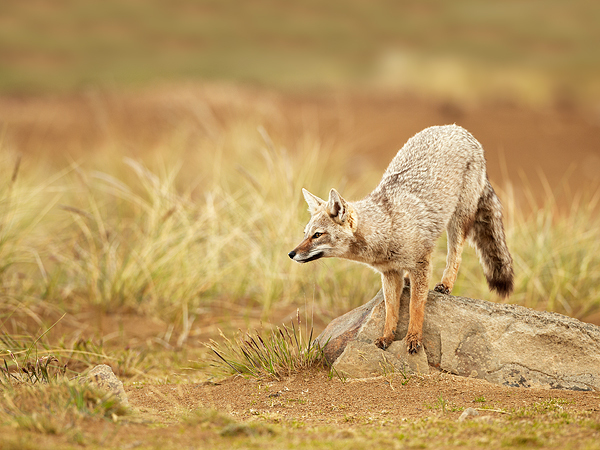 Further afield, Patagonia Foxes are generally found in the foothills and lower areas around the Andes mountains in both Patagonia and Argentina. 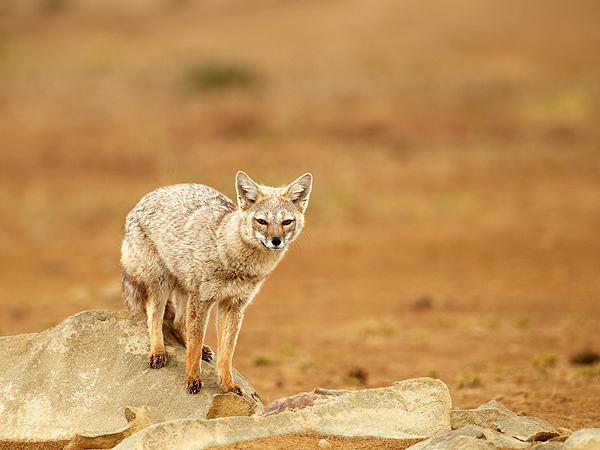 They are also found in coastal areas, in South America, they are quite numerous in population size. 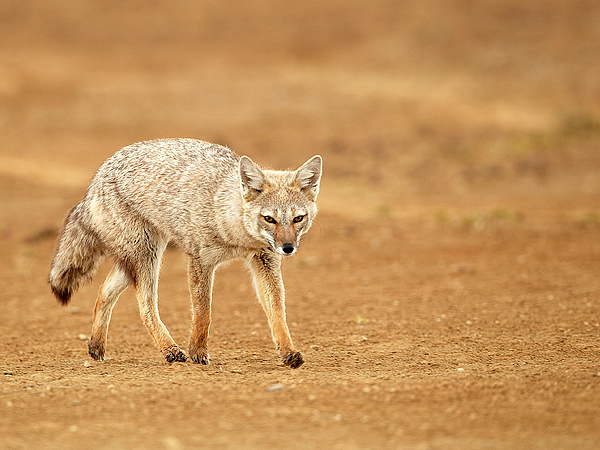 They are relatively small in size and grow up to 50 - 70 cm in length reaching between 2.5kg and 4kg in weight. 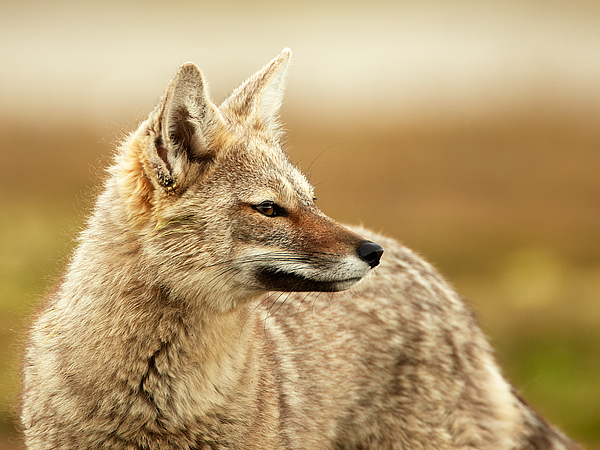 In South America, the Patagonian Grey Fox is also known as: Argentine Grey Fox, Chilla, Grey Zorro, and Patagonia Fox.